After college, I married a naval officer. One of the biggest challenges of being a military wife was moving from one station to another every few years. We’d been married for two years when I became pregnant. 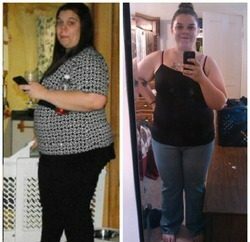 I lost most of the weight shortly after my son was born and was happy to fit into my size 11 “skinny jeans.” Soon after that, my husband was reassigned and we moved again. I felt isolated living on a military base in a new area, so I immersed myself in my family and home. I cooked big, rich meals. After dinner we went on walks and stopped at the McDonald’s playland on the base. While our son played, my husband and I snacked on french fries and soda. I started gaining weight and began to be ashamed of how I looked. When a friend showed me pictures from a party, I saw what I really looked like. 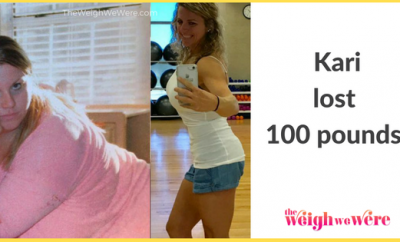 I weighed 187 pounds and was popping out of a size 14, the biggest I’d ever been. I was embarrassed and wondered how I could’ve let myself get so big. While watching a TV talk show about holiday eating and fitness, I realized that I needed to eat for energy, not to cure boredom. I began taking a YMCA aerobics class three days a week and exercised on my own twice a week. At first my body was sore, but it felt great to do something. I also changed my diet. I started reading labels and restocked my pantry with healthier foods. I bought low-fat cookbooks and magazines, from which I learned healthy cooking techniques. After six weeks, I saw progress and became even more motivated. Each week my clothes got baggier. I felt great. When we moved again a year later, I found an aerobics class that offered child care so I was able to commit to five classes a week. With exercise built into my schedule, I couldn’t justify missing a workout. 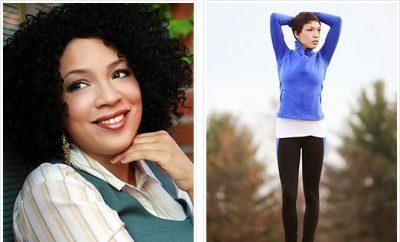 RELATED: Weight Loss Success Stories: Regina Lost 83 Pounds And Found A Fresh Beginning! Two and a half years later, I had another baby and once the doctor approved, went back to exercising. I learned about Jazzercise from a friend and was hooked on it from the very first class. It was fun, motivating and gave me the chance to keep a consistent fitness routine. When we moved again, I found a Jazzercise program in the area. Last year, I became a certified Jazzercise instructor. I love teaching and sharing my experiences with my students. Becoming fit has changed my life. Being healthy keeps me happy, which makes me a better mother and wife. Life as a military wife is challenging; I’ve found that exercise keeps my mind and body healthy to deal with those challenges.